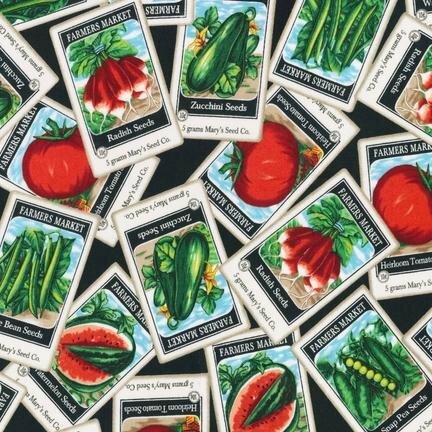 Vegetable Seed Packets on black background. From Everyday Favorites collection by Robert Kaufman. 100% Cotton. 44'' wide.